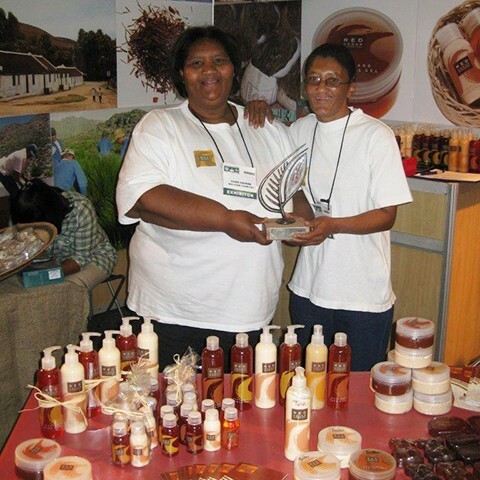 Red Cedar Cosmetics opened their doors in 2004 and belong to 5 women from the Wupperthal region, producing, packing and distributing a popular range of rooibos cosmetic products. Rooibos contains antioxidants that combat ageing and is helpful in treating skin allergies and eczema. It is particularly suitable for babies with their sensitive skin. 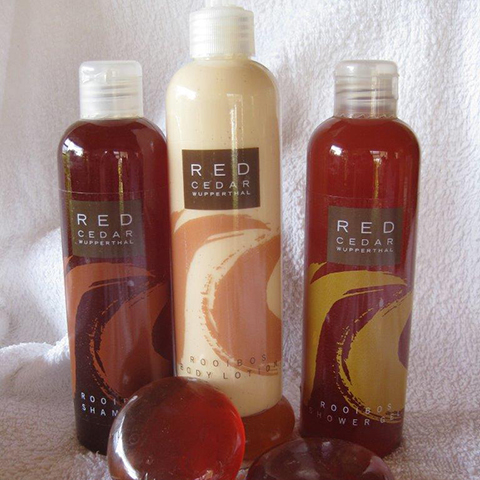 Red Cedar products contain rooibos extract and other natural ingredients such as honey, shea butter and aloe and are delicately fragranced with natural essential oils, rather than synthetic aromas. 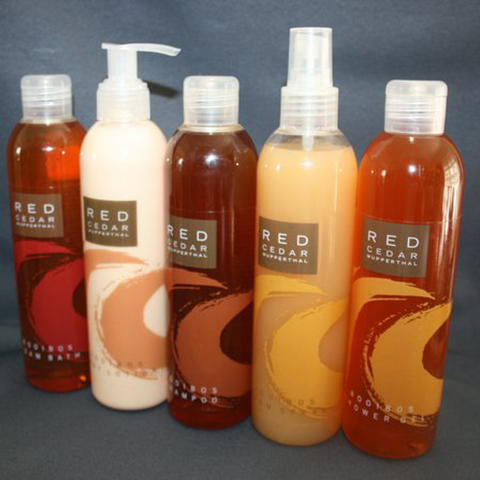 The Red Cedar product range includes high quality rooibos based hand-made soaps and body products such as liquid hand wash, shampoo, foam bath, body lotion, shower gel and an environmentally-friendly room spray. The Rooibos and aloe gel is very successful in the treatment of eczema, sores, insect bites and burns. The rooibos body scrub with apricot kernels contains essential oils, which will improve the appearance of unsightly cellulite. The product will also remove hard and dry skin on knees and elbows. You're welcome to visit their shop in Wupperthal and please yourself with this lovely products.